This morning I delivered a large number of letters to constituents in Sunniside and Marley Hill who vote by post rather than at polling stations. Postal votes arrive this week so the letters I delivered focused on my record as councillor for Whickham South and Sunniside for the past 32 years and my priorities for the area in the years ahead. Last year we got about two thirds of the votes cast but I'm taking nothing for granted. There has however been no sign of a Labour election leaflet. They are leaving it a bit tight if they want to get their message out before the majority of those likely to vote have exercised their democratic rights. 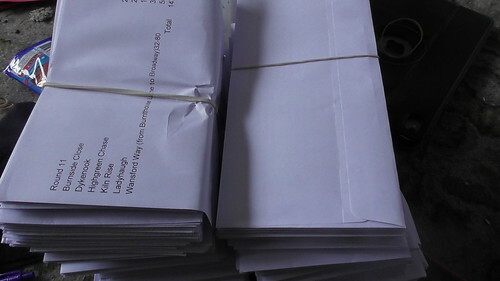 The photo above is of the pile of letters I will be delivering in the Whickham part of my ward.